Real-time graphic recording is hard. But fun. There is no pausing of the tape. No rewinding. Just intense listening with an intent to keep up with the flow of information. The graphic above is what I came up with while listening to President Obama’s State of the Union address last night. 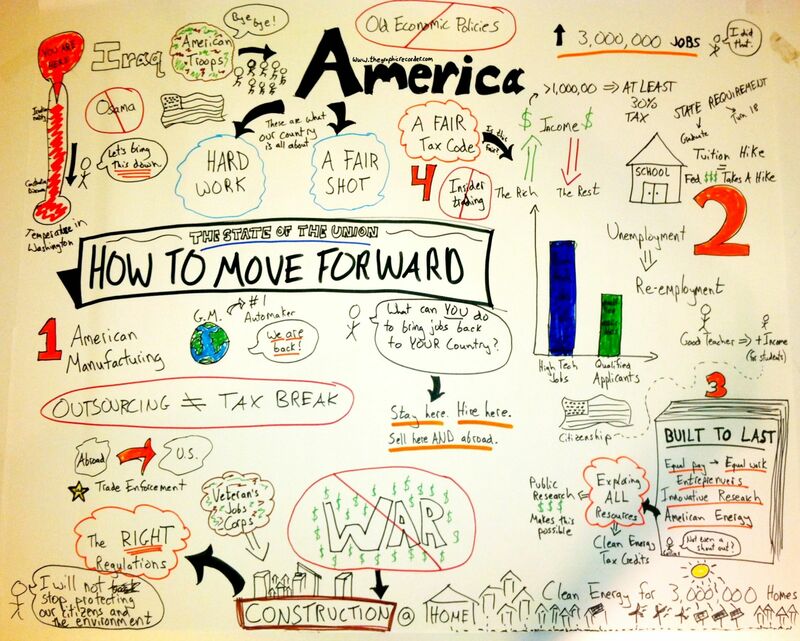 There is plenty of room for improvement, but I think I’m hooked on this whole graphic recording thing.